It’s the essential guide for new dads, developed with the NHS. As a new dad you will feel excited, but you may also feel left out, unsure or overwhelmed. The DadPad can help by giving you the knowledge and practical skills that you need. 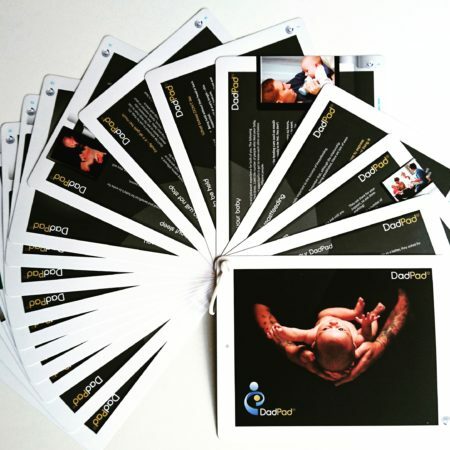 The resource will support you and your partner to give your baby the best possible start in life. Being the parent of a child in neonatal care can come with lots of additional emotions and problems. DadPad Neonatal offers help and support in these situations. Find out more. Complete this form and then check your email for your download link. After receiving your download, we may email you from time-to-time with hints, tips, news and resources to further help you be dad ready.